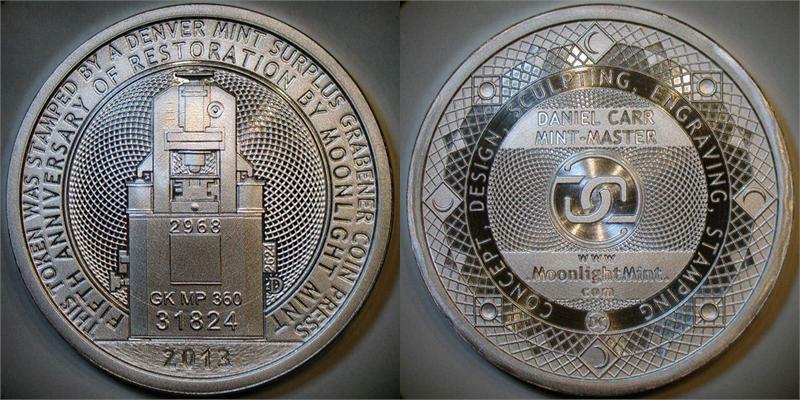 Moonlight Mint store card token, 5th anniversary of the restoration of the US Denver Mint surplus Grabener coin press (which was used to strike these tokens), by Daniel Carr for Moonlight Mint. 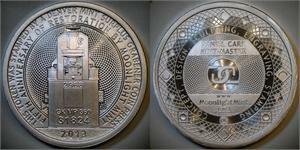 Weight: 31.1 grams (1 Troy Ounce). NOTE: These come in non-PVC "flip" holders. There are no certificates, since the tokens themselves have all the information on them that is normally found on the certificates.